Let Earthing sweep you off your feet! Easy to use and require no set up apart from plugging in. Unobtrusive, simply place your feet on the mat and your are earthed. Efficient and natural: The feet are the most sensitive part of the body when it comes to earthing. Our foot mats mimic how we would naturally earth ourselves by going barefoot. Ideal in the evening for resetting the melatonin (sleep) clock. 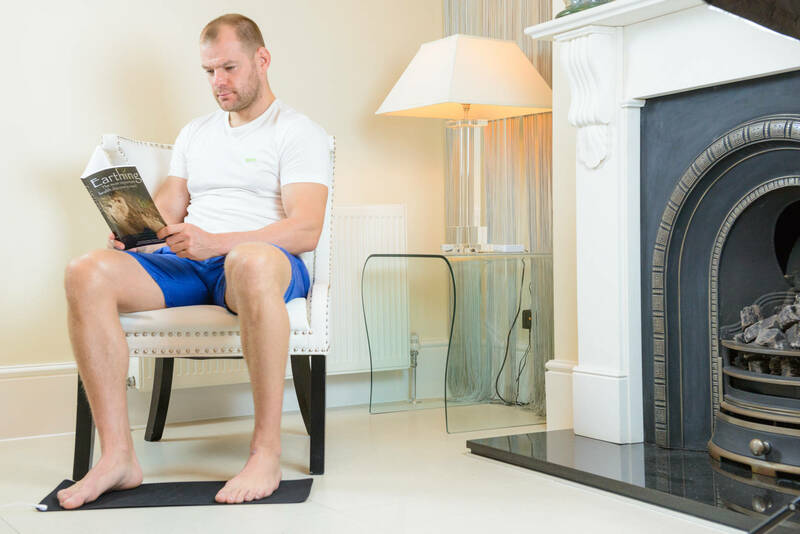 Flexible – the foot mat can be used as a desk mat, can be sat on, lent on or used in any way you can think of. Compatible with grounding socks and can be used in conjunction with a cover for those who do not like rubber. Further information and sizes can be found below. 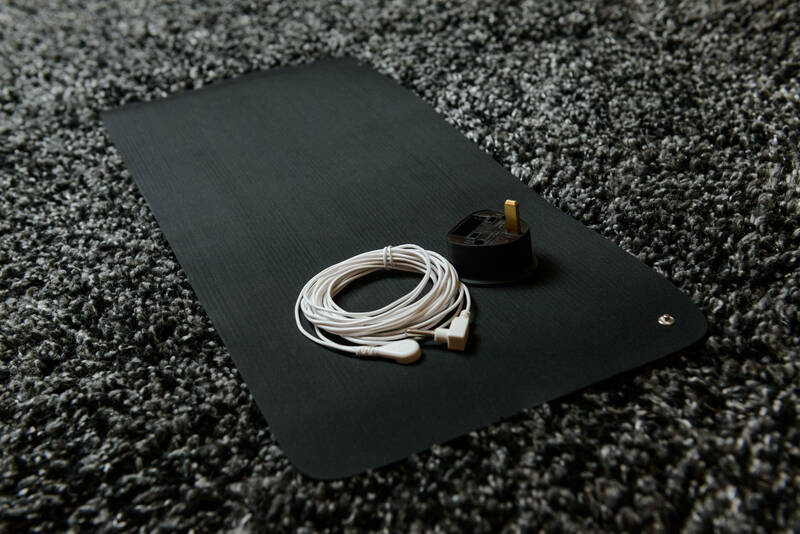 The Foot Mats measure 60cm x 25cm and come complete with a UK Plug as standard as well as all the cables and connections you need to get earthed right away.